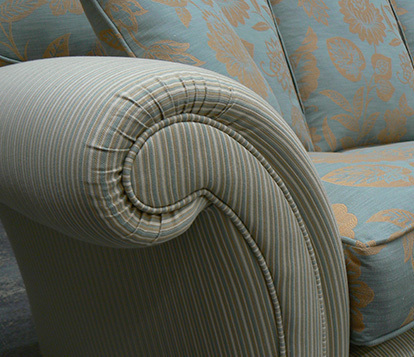 When shopping for a sofa, you should always think about the fabric, quality, and the size. But here’s something you might not think about: the shape of your sofa. Before researching sofas, it’s important to know what to search for – and what style you like or will work with your room. There are so many different sofa shapes, and variations of those shapes, as well as styles of cushions, legs, arms, and more. We explore some of these differences so you’ll know what to look for when shopping for your dream sofa. There are a couple of classic sofa shapes that are standard throughout the world. These include the Bridgewater, Camelback, Chesterfield, English, Lawson, and Tuxedo. These names might not mean anything to you now, but they soon will! These six sofa shapes originated throughout different times (and countries) becoming classics that keep on being reinvented with different variations and fabrics. 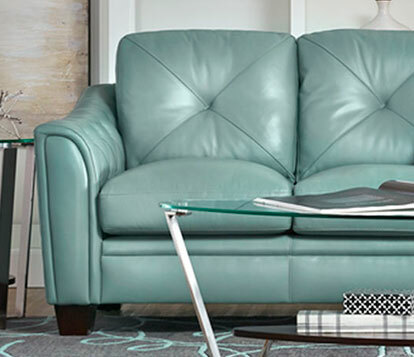 The Camelback sofa is a more traditional sofa, with a curved back and tight-back cushions. The arms are usually rolled, at a higher height and the sofa features exposed legs. These sofas tend to have uniquely round backs, often arching (hence the name, Camelback). The Camelback is meant to be a statement piece in a parlor so it’s often never placed against the wall, but instead in the center of a room. The Chesterfield sofa originated during the early 1700s, believed to have been commissioned by trendsetter-at-the-time Lord Phillip Stanhope, 4th Earl of Chesterfield. He wanted a sofa with a lot of tufting (which at the time showed off wealth as the tufting process required more fabric), quilted leather upholstery, rolled arms, ornate wooden legs, and low-seat base. As Lord Stanhope aged, so did his Chesterfield pieces, thus showing off the distinctive look of the aged Chesterfield sofa. A stunning, updated example is our Knightsbridge Ivory Sofa. The English sofa is also an English classic, with a low and deep seat, loose-back cushions (usually three), rolled arms with pleats, and differentiating front and back legs. The back legs are usually a sloped, tapered leg while the front leg is a tad more ornate, and some times feature a wheel. The English sofa tends to be a bit lower and with very deep seats, allowing for the perfect lazy Sunday afternoon lounging. 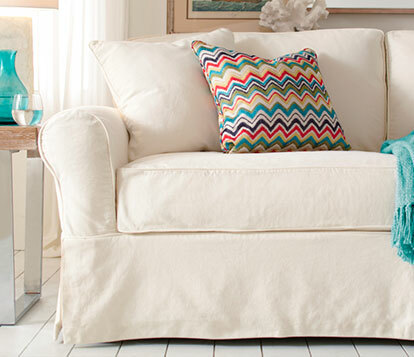 If this is your sofa, then you’ll love the Bali Breeze or Azura Beige. The Lawson sofa tends to be a more traditional sofa with rolled arms, loose cushions, and either traditional legs or a skirt. 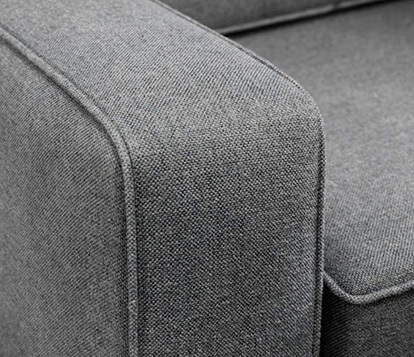 The sofa tends to have a thicker, bulkier shape than other more delicately-shaped sofas. The Lawson sofa was originally commissioned for a wealthy Boston financier named Thomas W. Lawson in the late 1800s. He enjoyed furniture that was more comfortable and layered with pillows. We love our versions of the Lawson sofa: the Bellingham and Balencia in leather. A tuxedo sofa is a much more contemporary shape, usually connected to Art Deco style and the look of early 1920s club houses. It was invented in the 1920s, with its name originating from the same place as the tuxedo – Tuxedo Park in New York. Similar to the Chesterfield, the Tuxedo’s arms are the same height as the back of the sofa, and therefore the back cushions are either tight-back, or loose cushions that rise above the back of the sofa. Have a look at our Chelsea Hills collection. There are two different shapes to arms: square or rolled arms. Most of the time, rolled arms tend to be more traditional, while square arms tend to be more modern or casual. With square and rolled arms, the height of the arm itself can vary on the type of sofa. For example, a Chesterfield has rolled arms that are high (at the same height as the back of the sofa), whereas an English sofa has arms that are much lower, closer to the base of the sofa. The lower the arm, the more casual a sofa tends to be. A lower arm is also great for a smaller space, where it can make the space seem much larger than it actually is. The legs of a sofa can really define its history — whether it’s mid-century modern from the 1960s or from the days of Marie Antoinette. 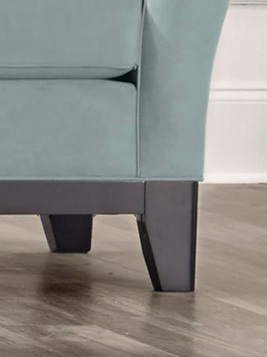 Cone legs tend to be more common with the mid-century modern style — a thinner and sleeker leg holding up the weight of the sofa. 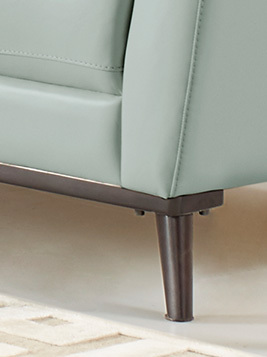 Whereas a thicker, tapered leg tends to align with a more classic sofa such as the English. And more ornate legs, with spindles tend to be tied in with Chesterfield sofas, a much much older style. 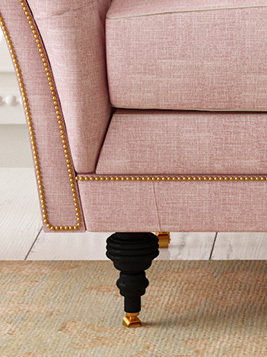 More formal and traditional sofas do not have legs, but rather a skirt which shows off luxury and conceals the legs. There are two different types of cushions — tight-back and loose-back cushions. A tight-back cushion tends to be more formal, lining up to the counter of the back of the sofa, Although it can tend to be less comfortable as it has less cushioning than a loose-back cushioned sofa. A more relaxed or contemporary loose-back sofa tends to have cushions that are either not attached, or attached at the base. Also check out: Elizabeth Reich, Insignia Homes, Marcye Philbrook.